Joseph Mannello has served as a consultant since May 2015. From March 2013 to May 2015, he served as the executive managing director at Brean Capital LLC, an independent investment bank and asset management firm, where he also served as a member of the firm’s operating committee. 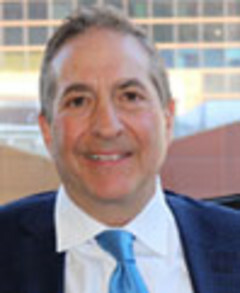 From March 2008 to March 2012, Mr. Mannello was the head of corporate credit for Gleacher & Company, Inc. (OTC:GLCH), a publicly-traded investment bank. Prior to that, he was the head of the fixed income division of BNY Capital Markets, Inc., a subsidiary of The Bank of New York Mellon Corp. (NYSE:BK). We believe Mr. Manello’s extensive financial markets background qualifies him to serve on our Board of Directors.